As in most countries, concussion management in South Africa up until the last decade followed neurosurgical guidelines that were based primarily on the severity of 2 symptoms – loss of consciousness and amnesia (memory loss). The criteria were often subjective and difficult to measure and, as a result, guidelines to concussed players may have been based on subjective grading systems (of which there are many) and were poorly individualised. The emergence of computerised neuropsychological testing, batteries of tests that enable the clinician to gain more insight into the function of the athlete’s brain, provided new impetus to concussion research and refocused our clinical approach. Well-validated testing protocols such as ImPact, CogState Sport, Headminders and ANAM allow clinicians to assess response times, memory and information processing and compare scores obtained after injury to a player’s pre-injury or “baseline” score. This renewed momentum gave rise to the First International Congress on Sports Concussion held in Vienna in November 2001 (See Research: International Consensus). At this meeting, concussion was given a more complete definition and neuropsychological testing was acknowledged as a cornerstone of management. Individualised concussion management rather than grading and “pigeon-holing” cases was accepted as being the most appropriate strategy. Other significant consensus meetings include the Second International Conference held in Prague in 2003 and the American College of Sports Medicine’s (ACSM) Consensus Statement in November 2005 (See Research: International Consensus). In 2006 Dr Patricios registered the Sports Concussion South Africa trademark. 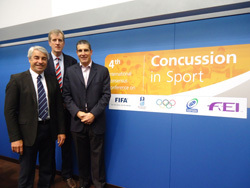 The 4th International Consensus Conference on Concussion in Sport was held on 1-2 November 2012, hosted by FIFA at the Home of FIFA in Zurich. 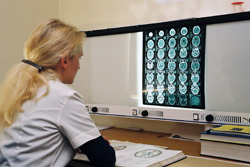 South African Sports Concussion Centres were first established by Dr. Jon Patricios in 2003 with the purpose of improving the medical management of concussion in the South African sports environment using a combination of repeated clinical assessments and scientifically validated computer brain function testing. This individualised concussion management system was adapted from the International Conferences on Concussion and subsequent Consensus Statements. We incorporated many of the protocols we had been using in our experience with professional athletes in particular, high level rugby players. In order to allow the protocols utilised in professional sportspersons to be accessible to amateur athletes and scholars, the South African Sports Concussion Programme was launched in 2004. The current sponsor of the sports concussion programme is Dolorol and the subsidized cost is R380 per year. Educating the sporting public as to the potential dangers of concussion. Providing specific individualised and scientific data on the management of concussion with respect to return to play decisions for which there previously existed only vague return to play guidelines. Providing a sound medico-legal framework in which to more accurately determine when a player is fit to return to play. Affording opportunities for data collection and research in the area of concussion in sport. The computerised cognitive function test that is used and which has been validated in numerous peer-reviewed scientific journals is the CogState Sport test from Australia. Sportspersons performing this card-based test can complete the testing in about 5 – 8 minutes and then the test is emailed to Australia and a report is generated in a very short space of time. CogState Sport was identified as the most affordable and appropriate test available for the South African scenario by the Medical Research Committee of SA Rugby. 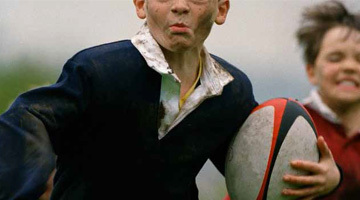 Despite the emergence of computerised brain function testing, clinical assessment of the concussed sports person is still seen as of the utmost importance. This was particularly highlighted in the ACSM Consensus Statement. As a result, we have developed both a symptom analysis system and a clinical examination incorporating both internationally recommended criteria as well as techniques evolving from our own experience. We are confident that the strategies we have developed for the management of concussion match international standards. The challenge is to make these protocols accessible to as many individuals, particularly scholars, in South Africa. The sports concussion SA initiatives have been presented internationally at conferences in Europe and the USA by Dr Patricios. In addition Dr Patricios would like to acknowledge the input of Dr Ismail Jakoet of SA Rugby, Dr Alex Collie, previously of Cogstate Sport and Dr Paul McCrory of the British Journal of Sports Medicine. Various editors of other influential journals have also kindly allowed papers to be posted in our research section. Dr Patricios, in particular, acknowledges the contribution of Dr Mark Lovell and Dr Mickey Collins of the University of Pittsburgh Medical Centre, a beacon of excellence in concussion research, for their influence on concussion management and, as such, our programmes. Sports Concussion South Africa appreciates that the field of sports concussion management is evolving and we will continue to seek further international exchanges and research opportunities to enhance the stature of the programmes available to South African sportspersons. As clinicians who deal with concussed athletes on the field and in the consulting room, we remain motivated in using education as our most powerful tool in keeping athletes from suffering from the potentially serious consequences of mild traumatic brain injury.